The shirtless man was ranting outside a McDonald's for some time before targeting the two transgender women. 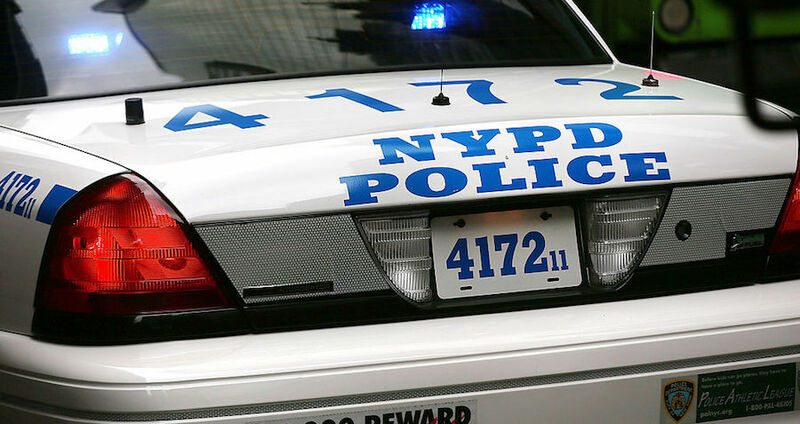 The NYPD has charged a Long Island man with a hate crime for beating two transgender women outside a McDonald’s in Queens on St. Patrick’s Day. Police say O’Meara then shoved one woman to the ground and proceeded to kick and punch her while she was down. He briefly left the scene of the crime before returning with a walking cane and striking the other woman while punching her in the face. The two women, who are 31 and 33 years old, were both taken to the hospital after suffering injuries. Doctors treated one woman for multiple cuts while the other suffered a broken ankle. “Those b–ches assaulted me, I’m pressing charges, f–k you, you f–cking f-ggot,” O’Meara told police as they arrested him hours later for a hate crime assault. This is far from the man’s first arrest. According to NBC New York, O’Meara in fact has eight prior arrests and once stole a car in Manhattan while drunk. Furthermore, police discovered a glass crack pipe in O’Meara’s pocket when they found him. “He was harassing everybody that was walking by but when the trans women walked by he clearly was infuriated,” Maria Munoz, who witnessed the attack, told DNAInfo. She added that O’Meara had been shirtless and yelling at passersby for some time. At his arraignment, a judge set O’Meara’s bond at $5,000. He will appear in court March 31, until which point police will hold him at Rikers Island unless he can cover the cost of his bond. Next, read this report on France’s recent decision to no longer sterilize transgender people, before finding out Trump’s reversal of his stance on transgender rights in rescinding Obama’s school bathroom rules.